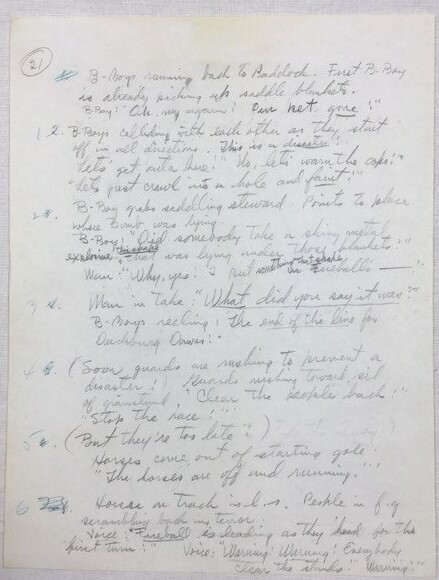 Original scripts for US-66 & US-68. 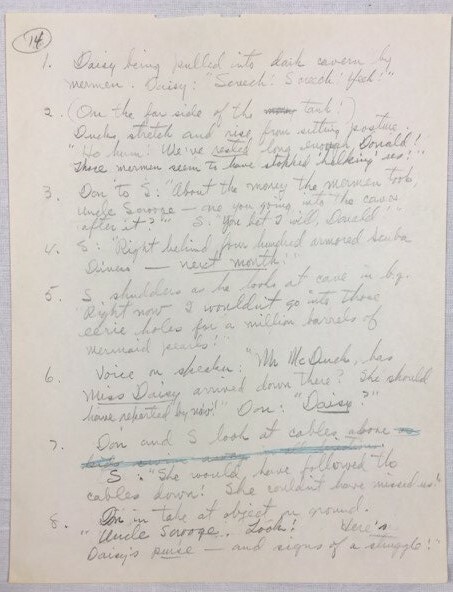 Carl did all the texting for his stories by himself but his wife, Garè helped with inking the final dialogue and the solid blacks and shading areas. 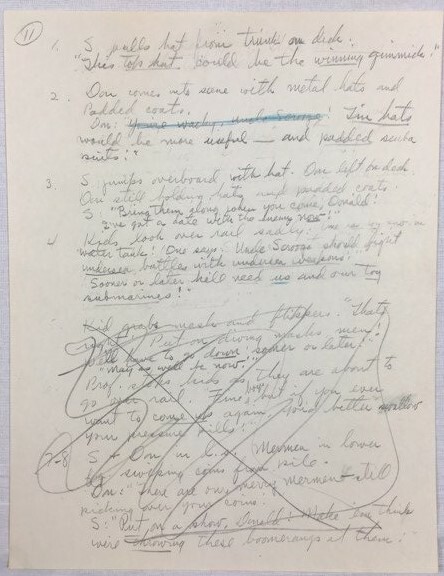 The only thing done by others was the coloring of the stories which was done at the printing plant in Poughkeepsie, New York. 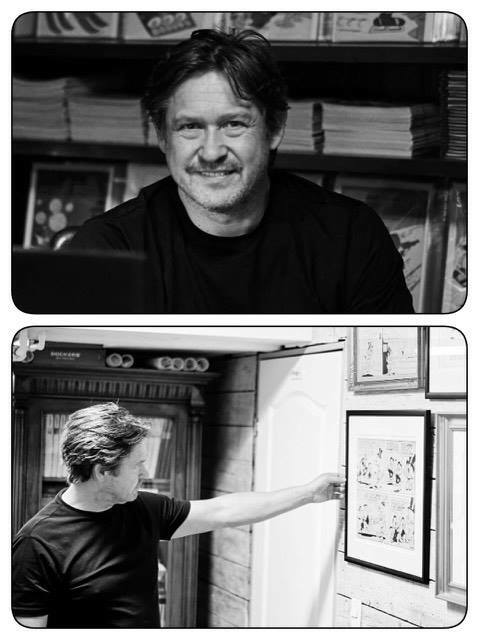 For that part the publisher used overlays and therefore the original comic book pages has always survived in black ink on white drawing paper. 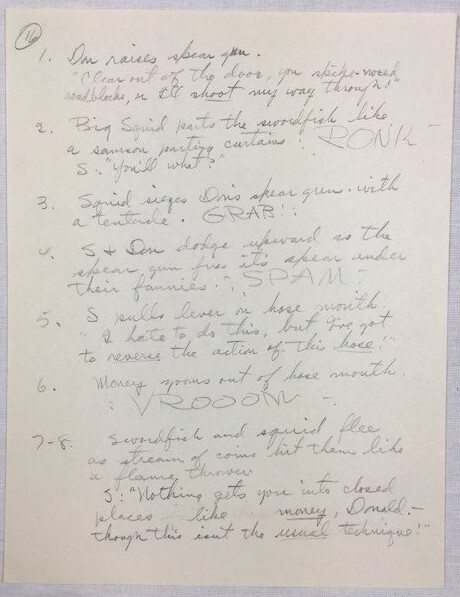 Garè Barks in a working situation - around 1962. 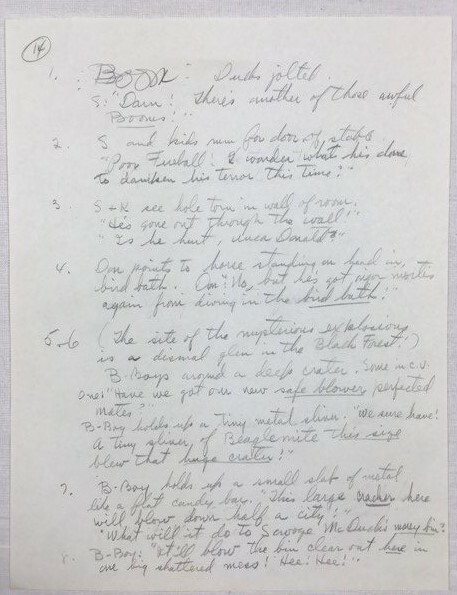 When Barks had written a few pages of a story he would start to sketch a little - and then he wrote some more. 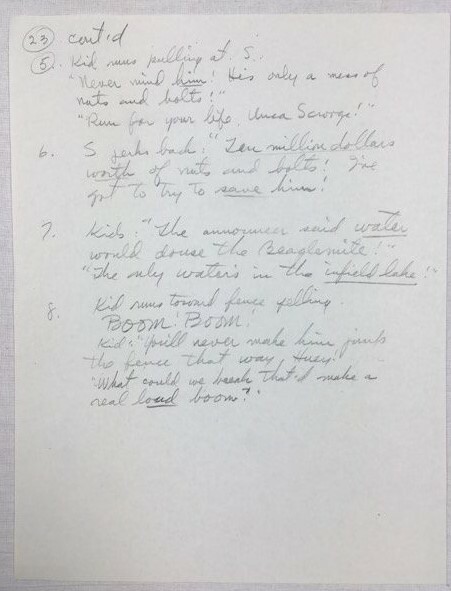 About two thirds through the process he would do a layout of the entire story to make it conform with the required number of pages. 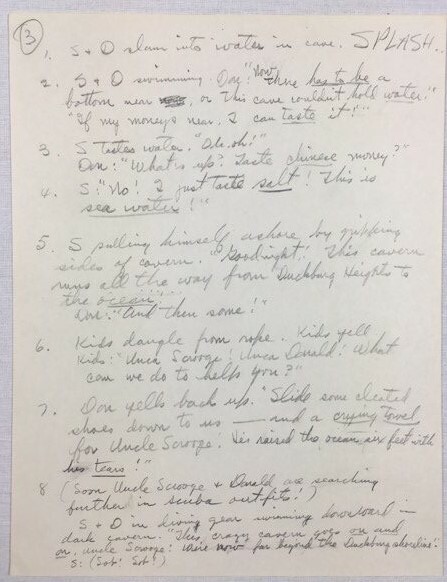 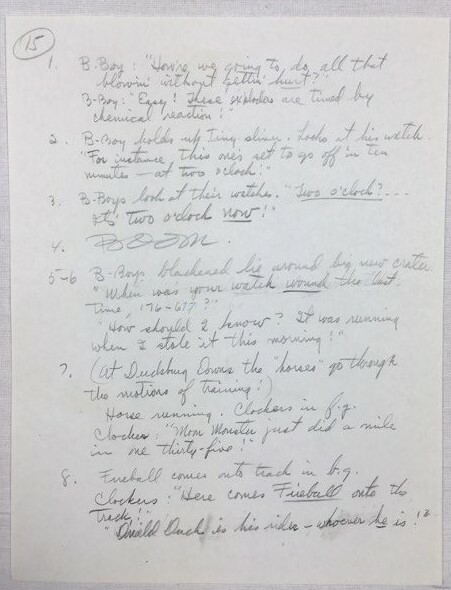 A typical ten-pager was usually written in 4 days and drawn in 6. 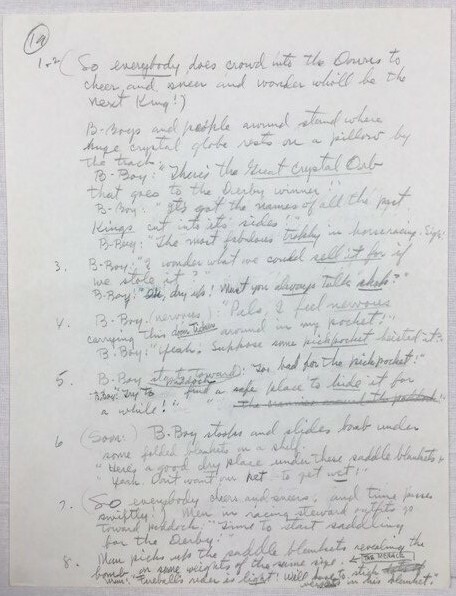 A total of 10 days. 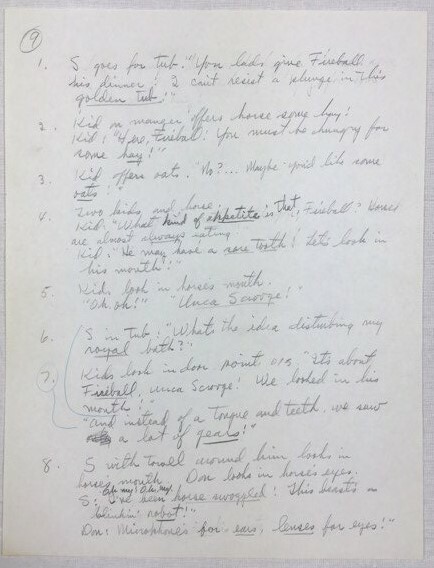 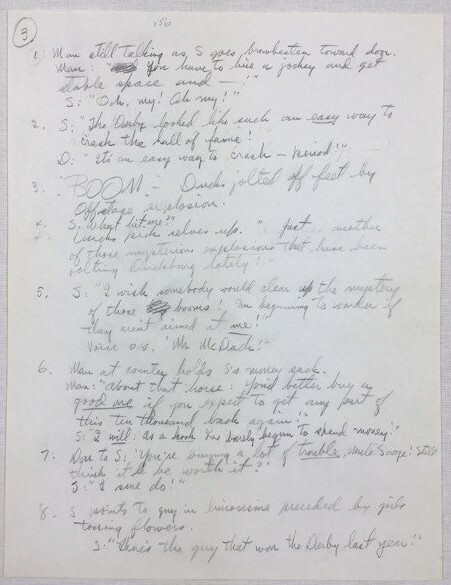 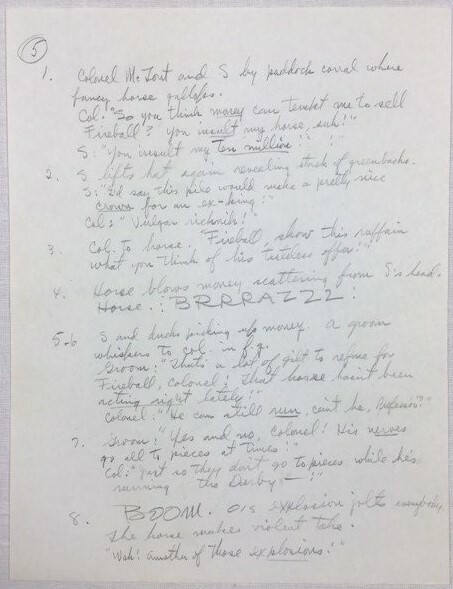 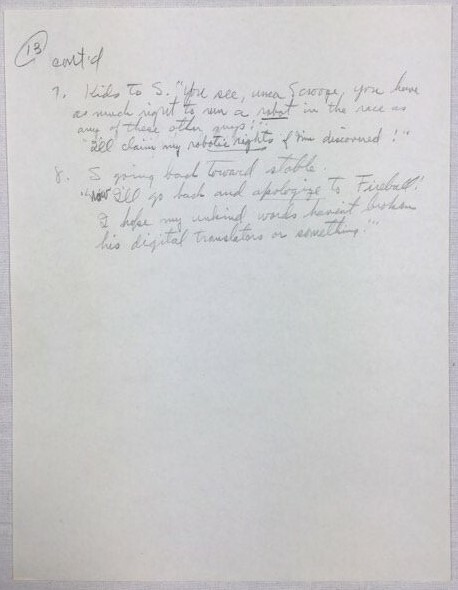 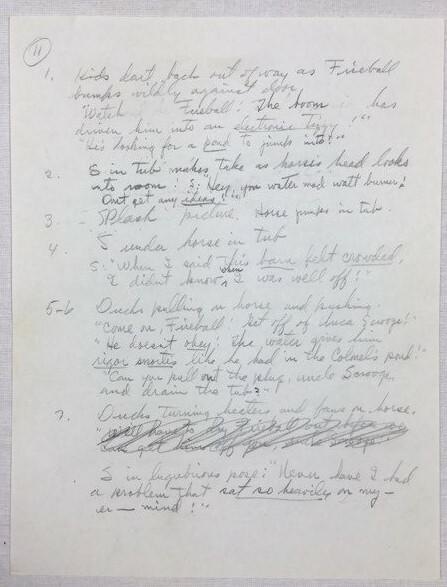 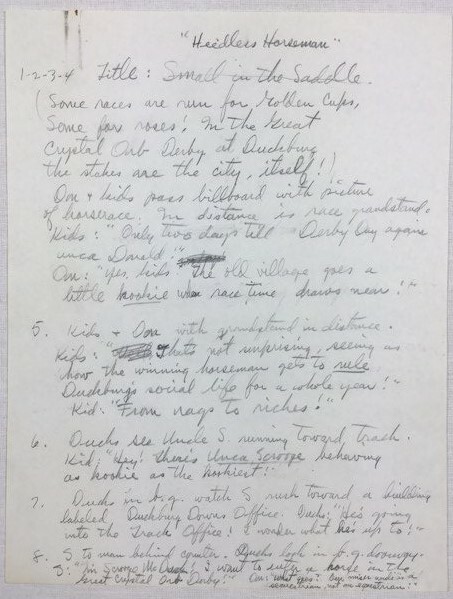 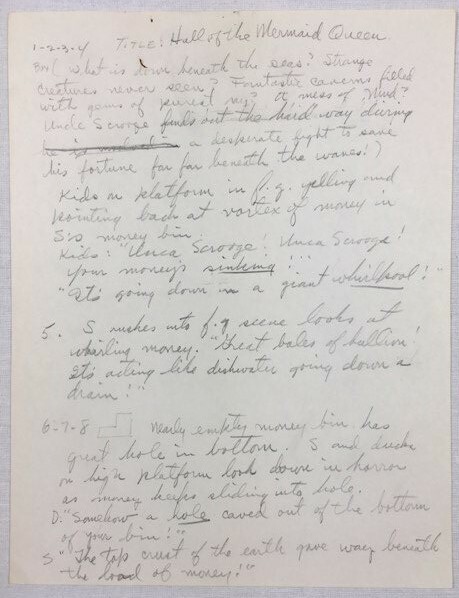 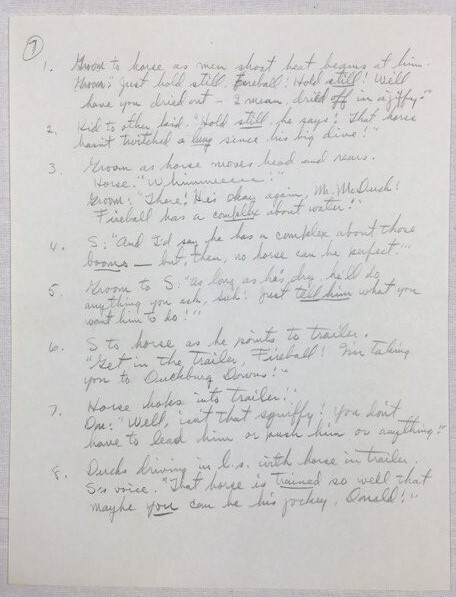 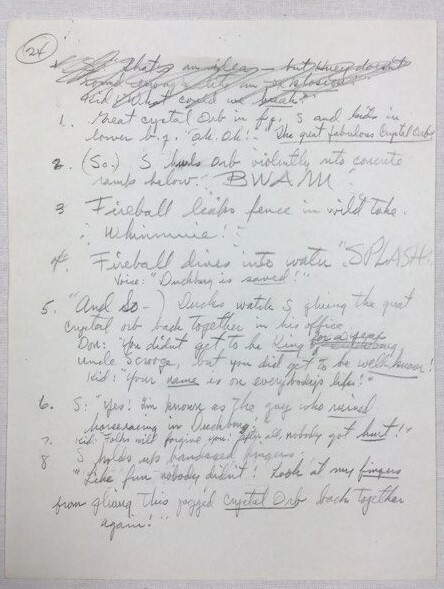 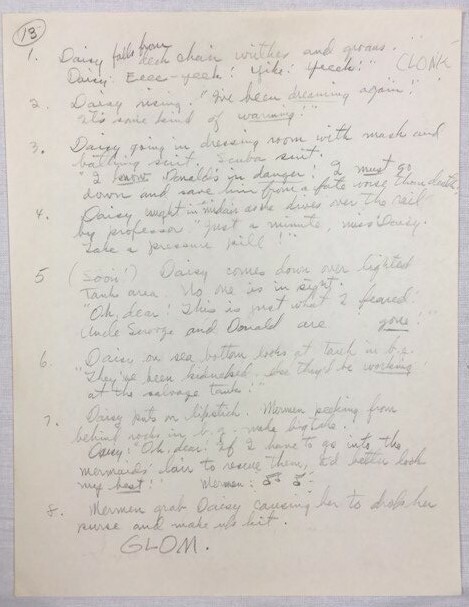 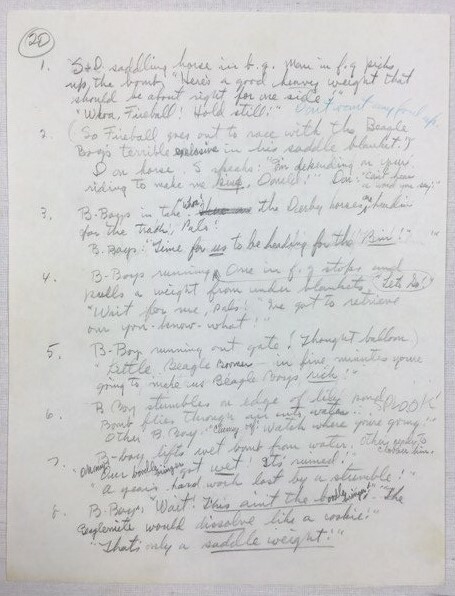 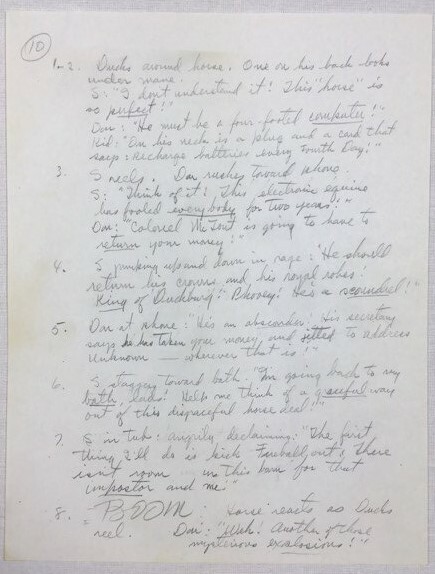 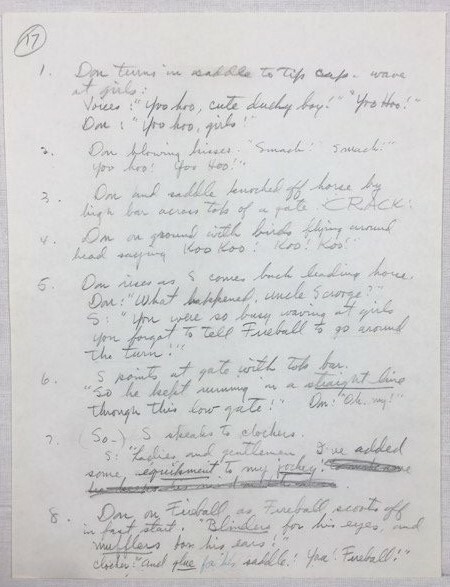 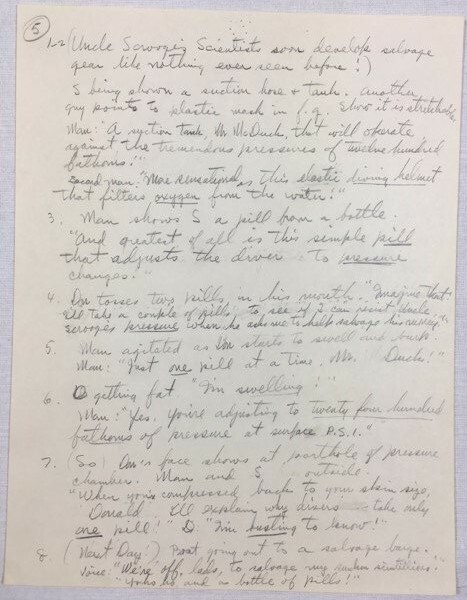 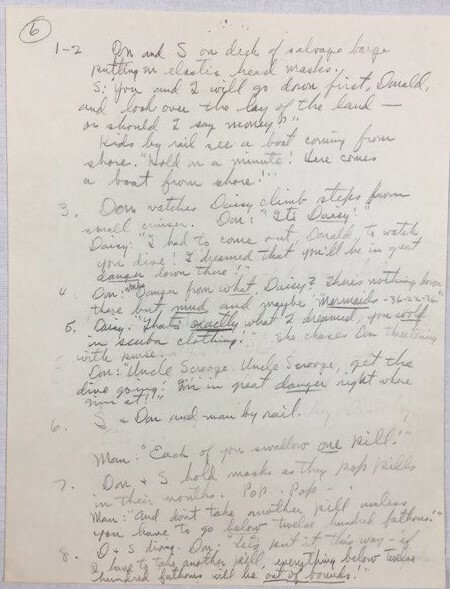 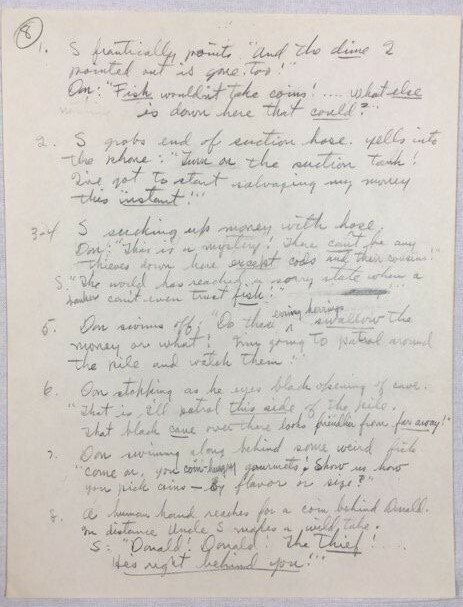 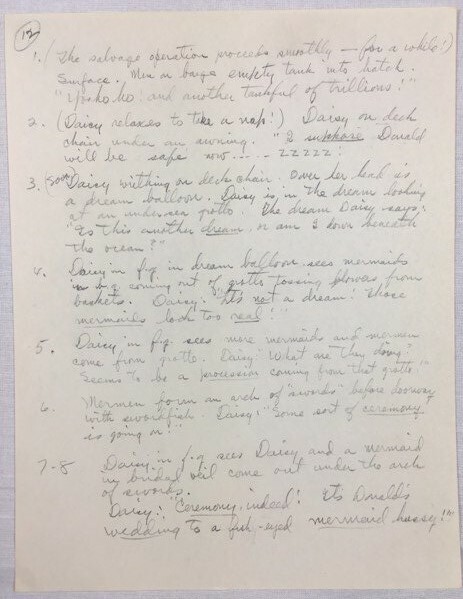 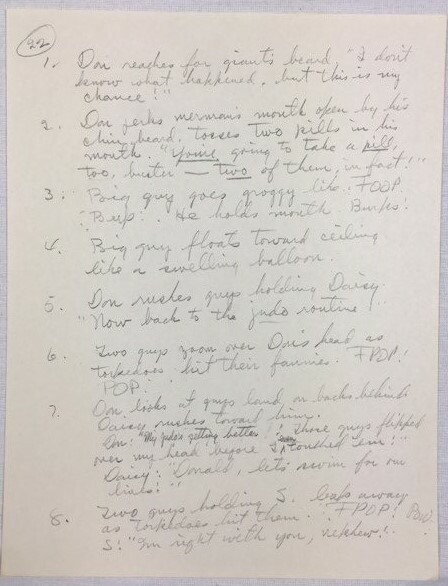 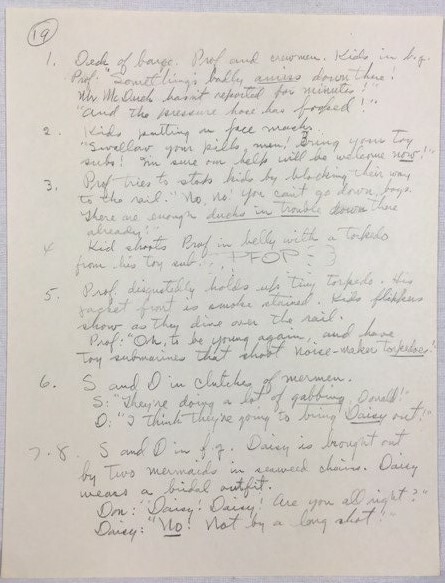 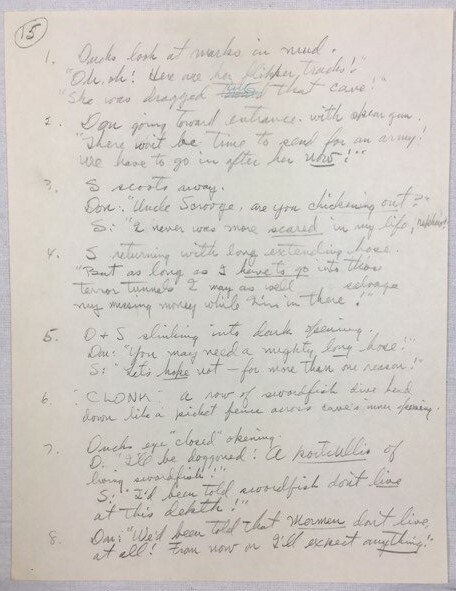 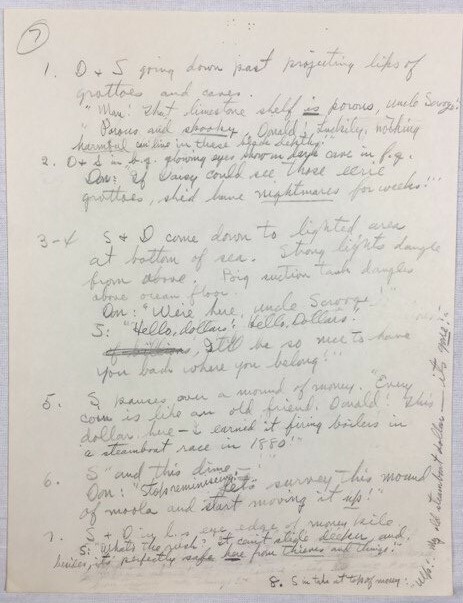 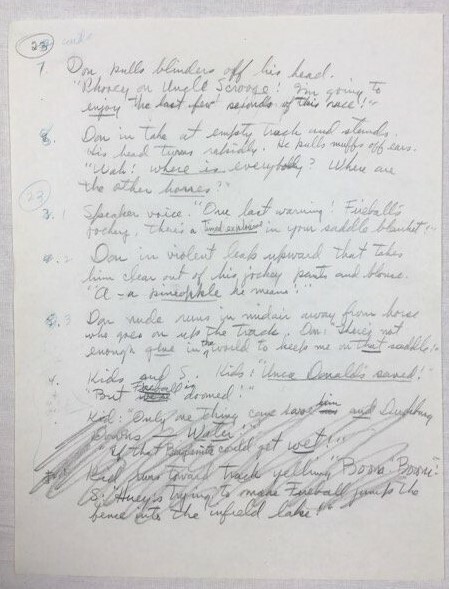 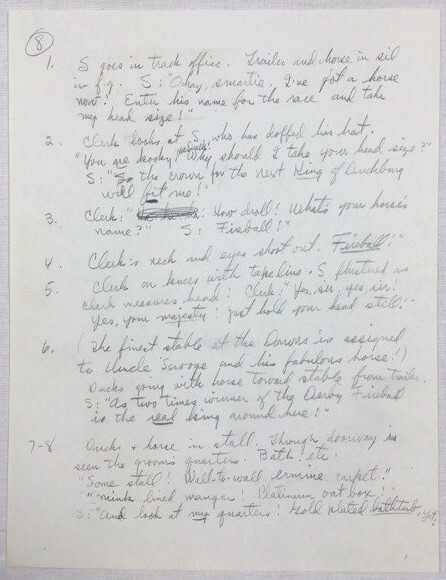 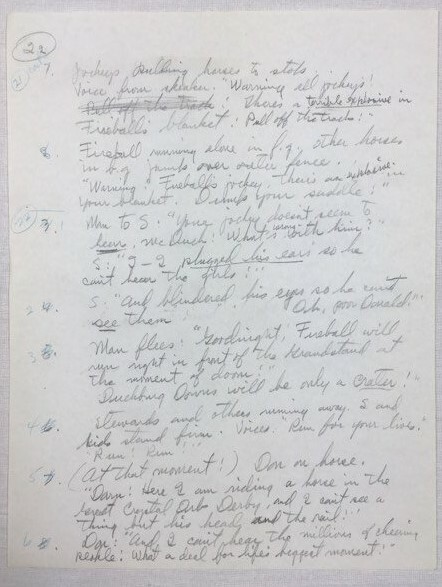 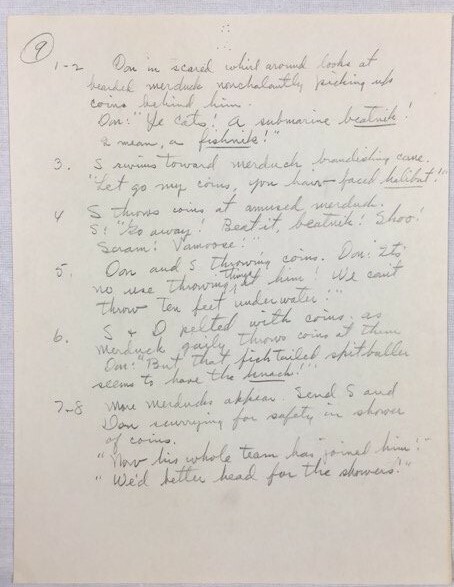 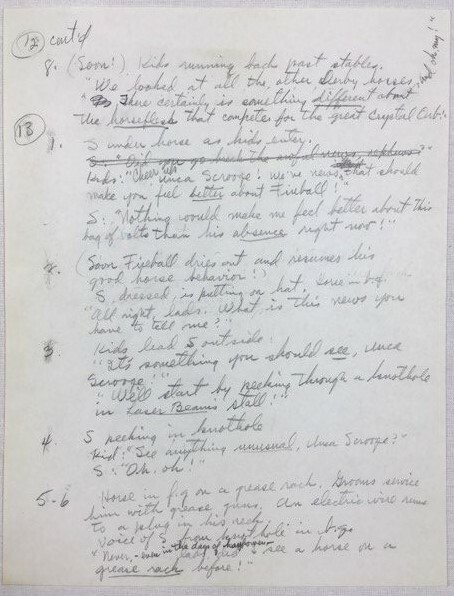 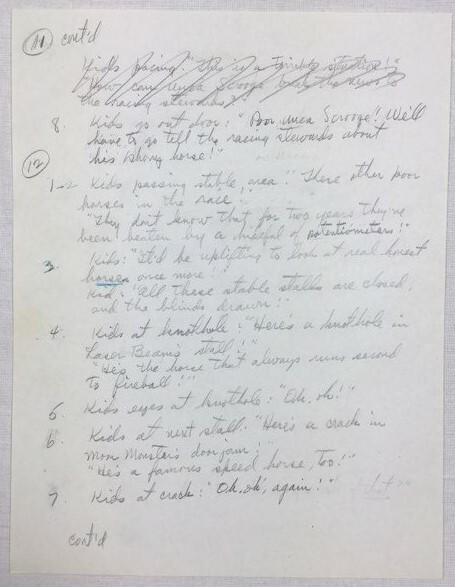 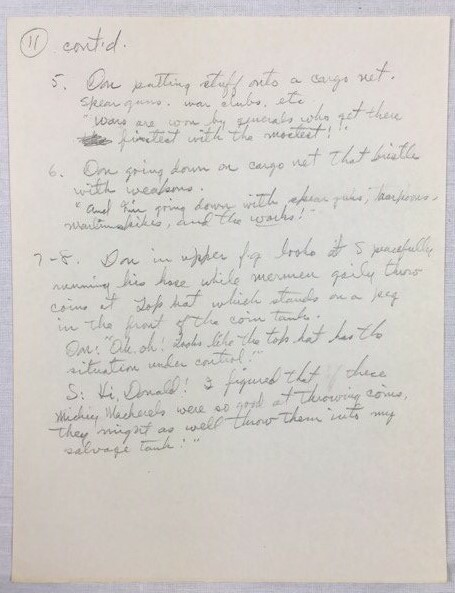 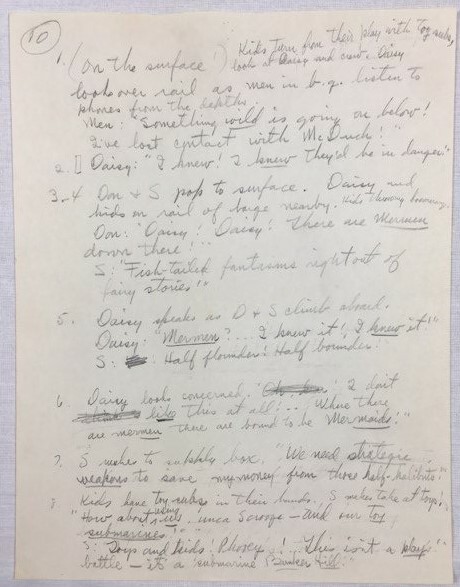 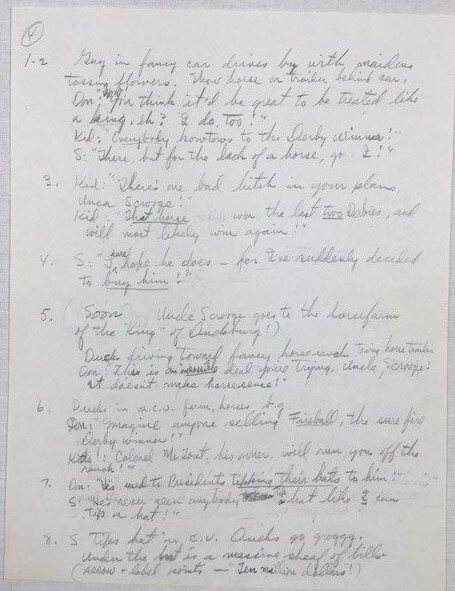 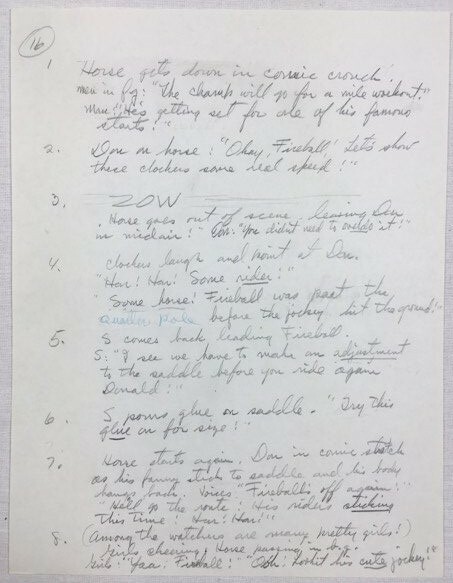 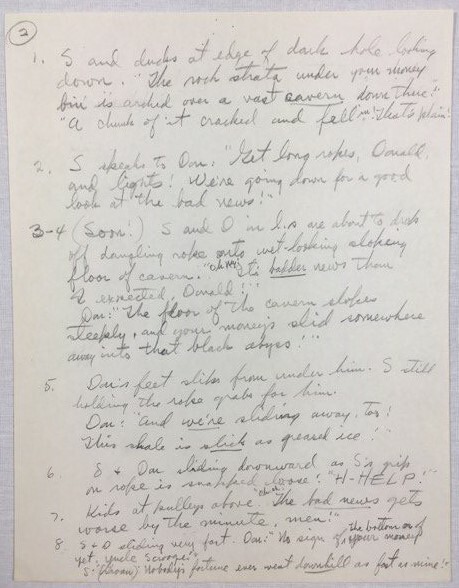 Original Script for Uncle Scrooge # 66 : "The Heedless Horseman". 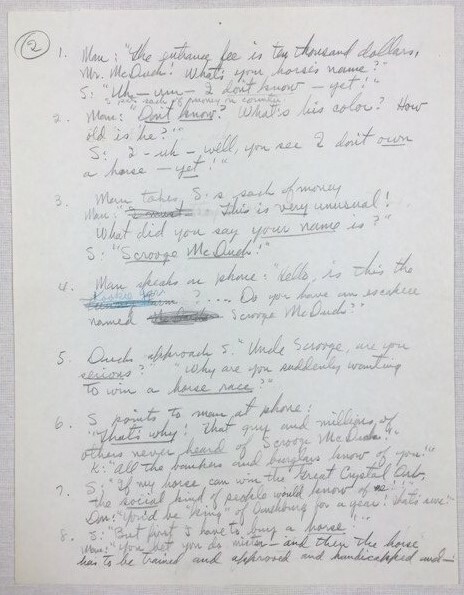 24 Pager. 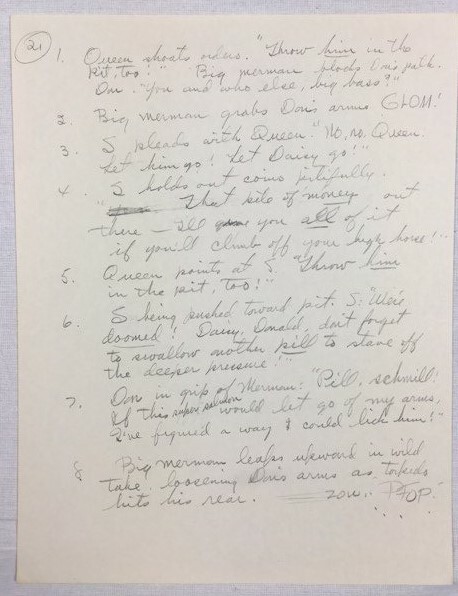 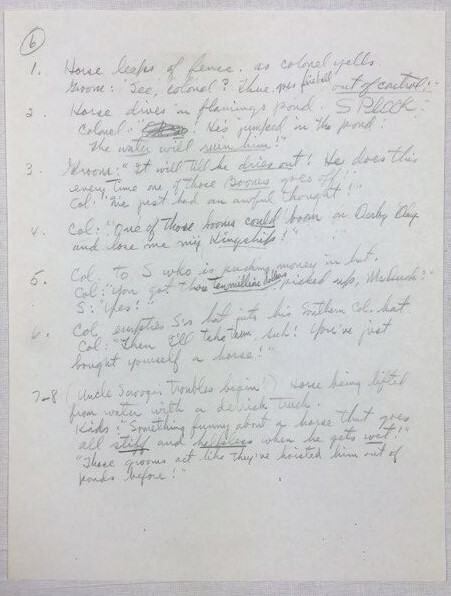 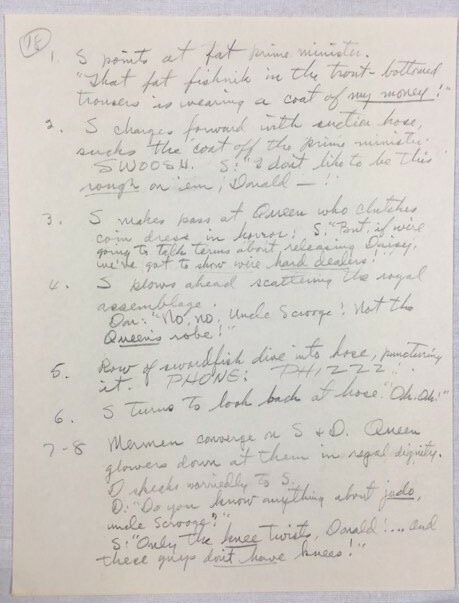 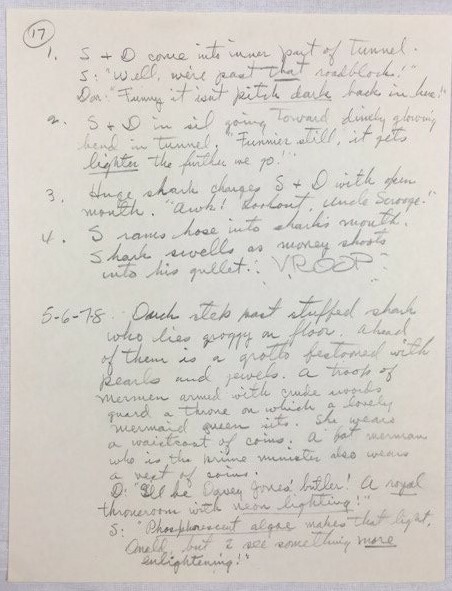 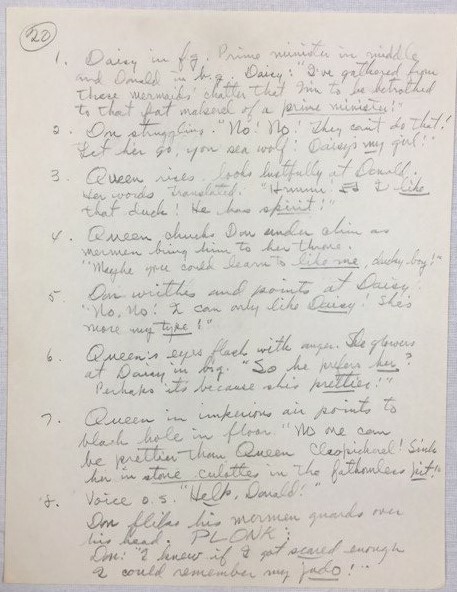 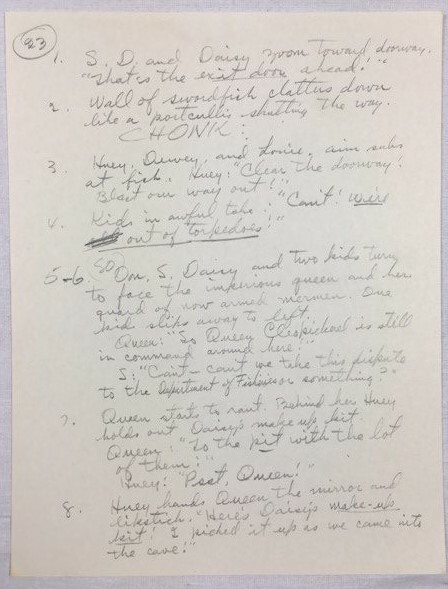 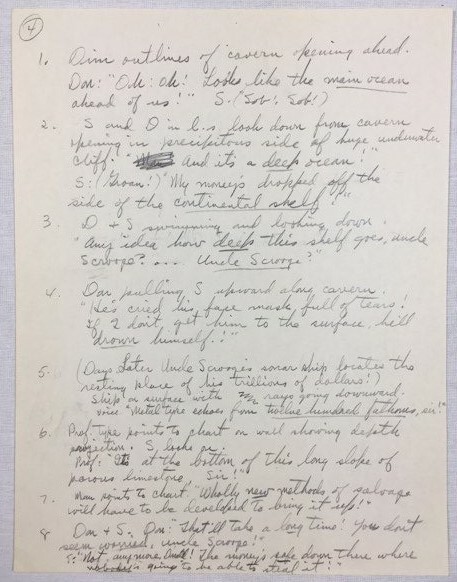 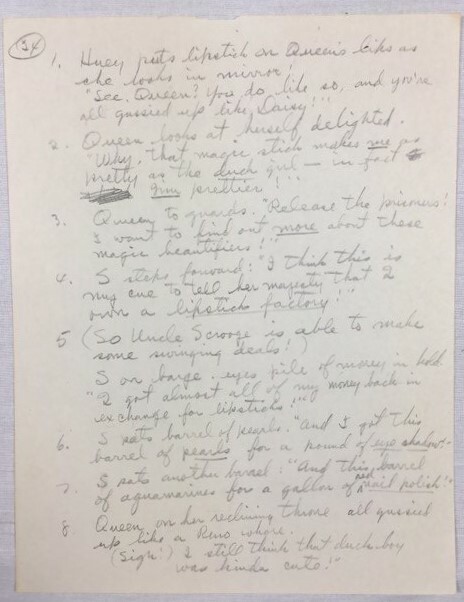 Original Script for Uncle Scrooge # 68 : "Hall of the Mermaid Queen". 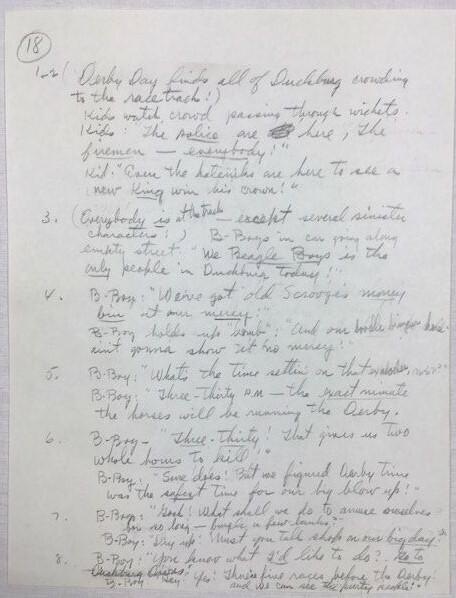 24 Pager.